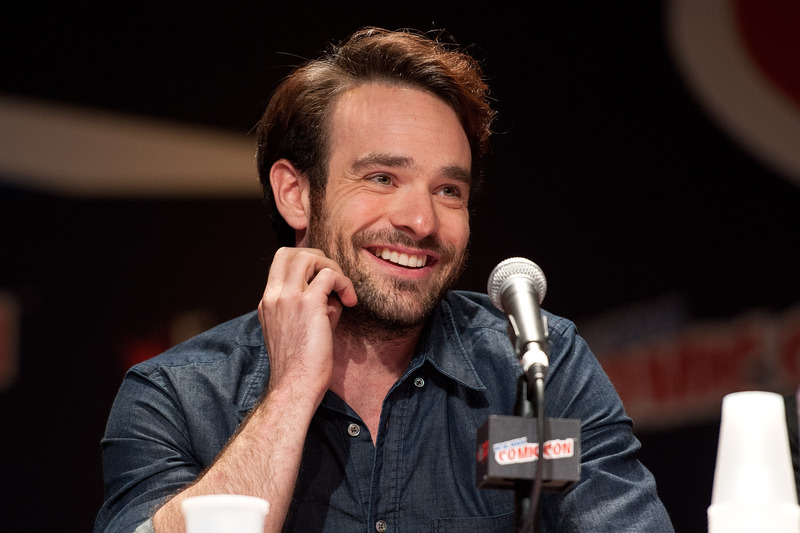 It's the question we've all been asking ourselves since the new trailer for Netflix's Daredevil was released on Wednesday morning: is Charlie Cox single? Don't lie to yourself. I know you've been wondering, especially after watching Cox in action during that all too short trailer. Is it April yet? I don't know if I can wait too much longer to binge-watch the Marvel series. Until then, we'll have to satisfy our superhero sweet tooth by re-watching the trailer and any clips released. Also, answering questions like this will surely hold us over until the premiere. So, let's get to it. Is Cox dating anyone? Well, it's hard to say for certain. I have yet to find anything about his current dating situation, so that doesn't mean he isn't in a relationship. But it also doesn't mean he is single. However, Cox is no stranger to making headlines regarding his relationship status. The actor has reportedly dated quite a few familiar actresses, including a Salem witch, a House of Cards actress, and a True Blood waitress. Even though I can't tell you about Cox's current dating situation, here's a bit more about his supposed relationships with these talented women. In addition to True Blood, Collins' also starred in Wolverine , The Lake House, and Covert Affairs, among many others. She and Cox also starred side by side in 2004's The Merchant of Venice, where Collins played Portia and Cox portrayed Lorenzo. I'm not sure how long they dated, but Collins married actor Steven Strait in 2007. We all know her best for playing Zoe Barnes in Netflix's House of Cards. She and Cox starred together in 2008's Stone of Destiny. Soon after, the two were rumored to be dating, but according to reports it only lasted from July 2008-2009. This Salem witch will forever be Mary Sibley to me, and some might recognize her for being rumored to be dating Cox. According to a May 2014 story posted by DailyEntertainmentNews.com, Cox and Sibley were linked, especially based on some photos posted. Montgomery would be the most recent woman linked to Cox, but no word on whether they are still dating or did date. Whatever the case, they look cute together!